Liam Z is over in China right now for the Asian X Games & I just received word that he made it through the first round of competition. He is the sole Aussie left in the comp after the first round knock outs & is in there with a bunch of big names riders from around the world. Here is the list of riders that progress to the next round. 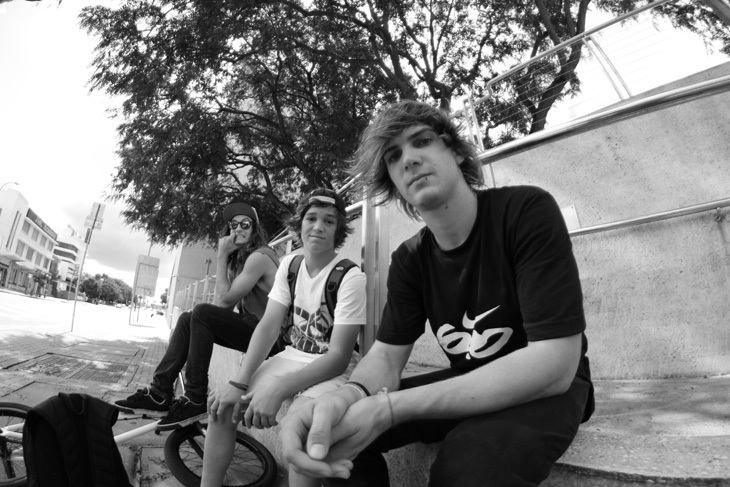 Kiattichai Wanitsakul, Jason Phelan & Dennis Enarson. Good luck in the next rounds mate !! After almost ten years of lobbying spear headed by Shane Conlon down in Coffs Harbour, they are getting closer to having a park built there. The budget set aside so far is $1million so they should get a pretty decent park finally. If you could show your support for the park by clicking the link here & submitting your email it will form another sign of support to the Coffs Harbour council. There are some people in the community against the new park but if we all show our support for it it will go ahead. Click the link here now & show your support. 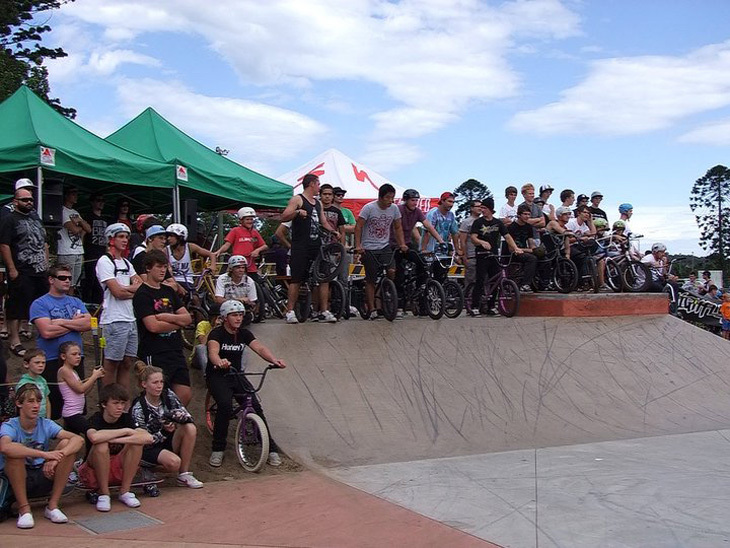 As you can see above, Coffs Harbour needs your help, their park as it is now is terrible !! Cooper Brownlee somehow found the time in between all his duties here at Colony & running Focalpoint to put together a new bike. Check his Colony parts list out below. Guten tag !! Ein Kolsch bitte !! There is a brand new BMX store opening in Koln, Germany with Jan Ritter & Stephan Prantl behind the reigns. They will have a grand opening party there tomorrow, April the 30th. Click here for more info on their website. Spotted over on Focalpoint is this one clip featuring Chris Courtenay before the wrist breakage of last week. Get better soon mate !! Looking for a new complete bike? 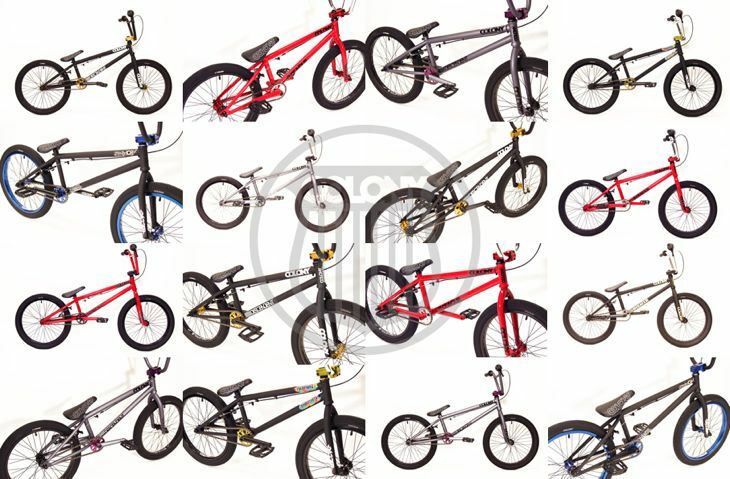 If you’re after something that is ready to shred right out of the box then you can’t go past our 2011 ranges of bikes. New colours recently just arrived too, click here to check them all out now. 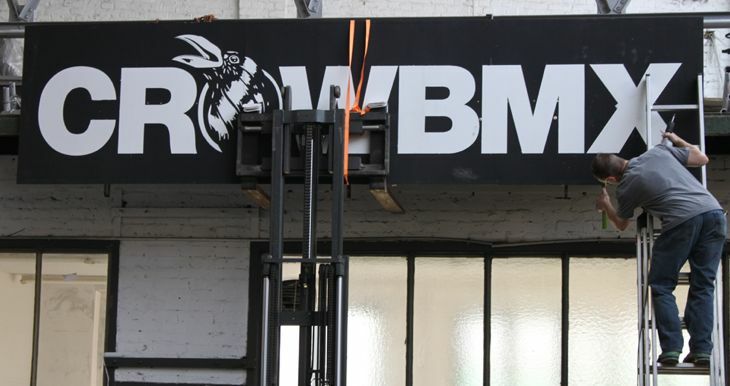 Broc Raiford is the first person lucky enough to build up one of our LTD frames made by FBM in the USA. Check it out below. These will be available in Australia late May & are available in the UK & France right now. Here is some footage from Paddy Gross’s first outdoor session this spring at his home town park of Trier in Germany. Paddy Gross the worldwide traveller out of Germany, sent in a quick update on what he has been up too… read on below. OK, here’s my little something I’ve been up to in the last couple weeks. 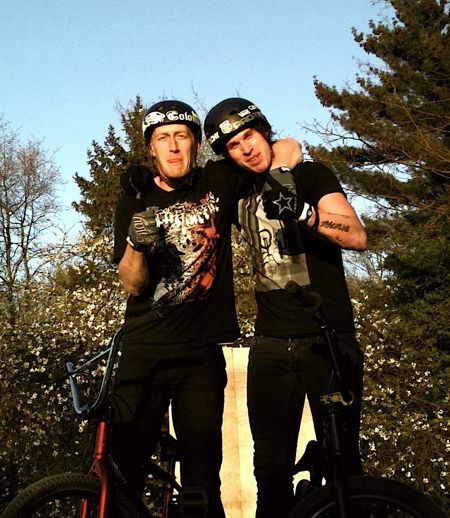 Well I’ve been riding heaps of demos as usual and besides that, finally the sun came out in Germany after a long winter. I was like “Hey my name is Spring and my friend Summer is on his way as well” Great conditions to ride outside and traveling 6 hours to the town (Trier) where I grew up and film a little session at my local park. I also went for a quick photo session to the new indoor park in Trier and had a heaps of fun at this place. Between all of this I’ve also visited my Colony team mate Benny Paulsen’s backyard miniramp for a weekend and it´s been good hanging around sharing jokes, life and BMX. 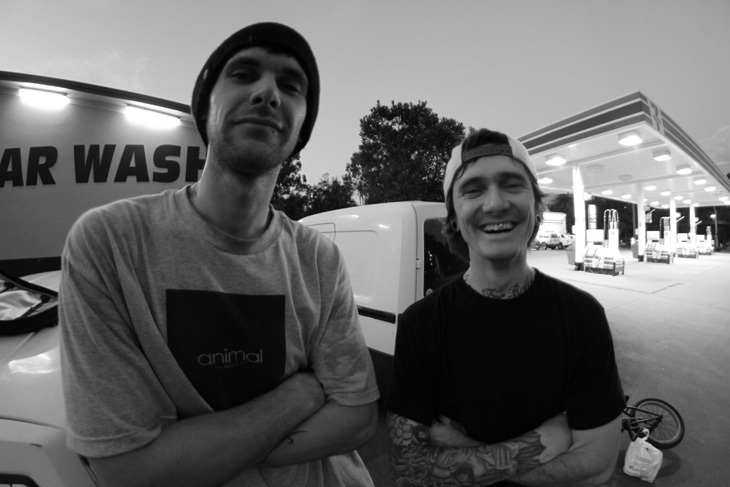 A friend of mine from Slownia asked me for a little interview for his website Mellon BMX. I really appreciate when people wanna hear my opinion about things and if you interested to read it click here now. I probably said this a hundred times already but why not going for 101 times, I love riding for Colony because everything couldn’t be better and since I’ve met the team now, I am even more proud to be a part of Colony. Alex Hiam has an interview over on The Union website. Click here now to check out what the young fella has to say. On Saturday, Chris Courtenay took a fall which resulted in a dislocated wrist & a fractured scaphoid bone as well. He will undergo surgery in the next few days, we wish him the best. 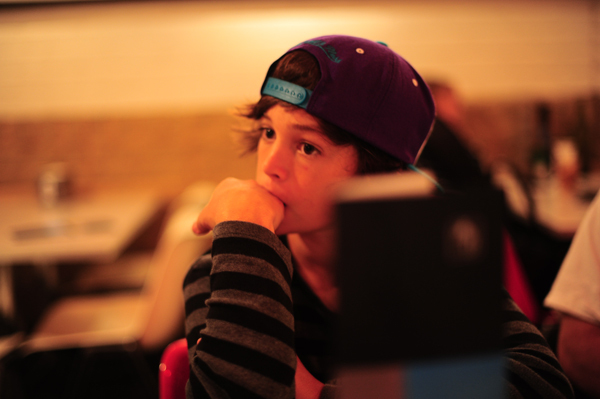 Chris was planning to hit up the Asian X-Games next week but unfortunately wont be able to make it over now. Good luck with the recovery CC. A random shot of Brock and Tom added in for good measure. Looking for a new frame? Then take the time to check out our 2011 ranges. I am sure we will have something on offer that will suit you from our Sweet Tooth for the little riders out there, to the Rebirth for the all-rounders, to the Teddy for those that wanna bomb any rail in sight, to the Lowcut for the new schoolers. Click here now to check them all out. Pete Radivo has been on it lately. Over the years Pete has fallen victim to many knee re-constructions, but lately he has been riding really well, snapped this photo whilst out filming with Pete a couple of days ago. Lately the Newcastle (NSW) area has been blowing up with fresh, quality parks getting built, good stores like Drift Bikes and good crew holding down all around the area. Help the crew out and Like their facebook page to help get more government funding for events and new parks. The page will have all info on jams, comps, premieres around the area plus it will start to have exclusive local edits. check it out. Thanks to Copp’in it Sweet for the photo of Tom and Jerry after a solid days riding up in Brisbane hitting a few schools whilst the weather was good. Over on The Union, our newest team rider out of Canada Steven Moxley has a really good interview up, you can check it out here. 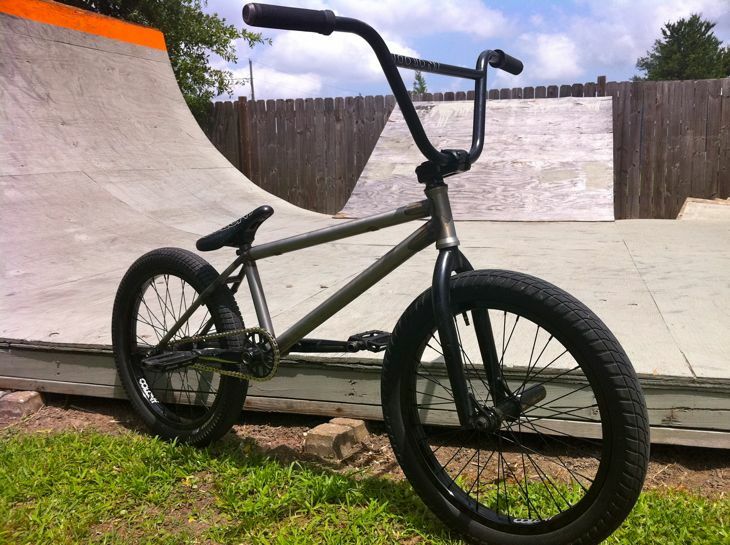 Marnold recently put a new bike together, here is fresh photo of it all setup, pretty much all Colony from top to bottom. 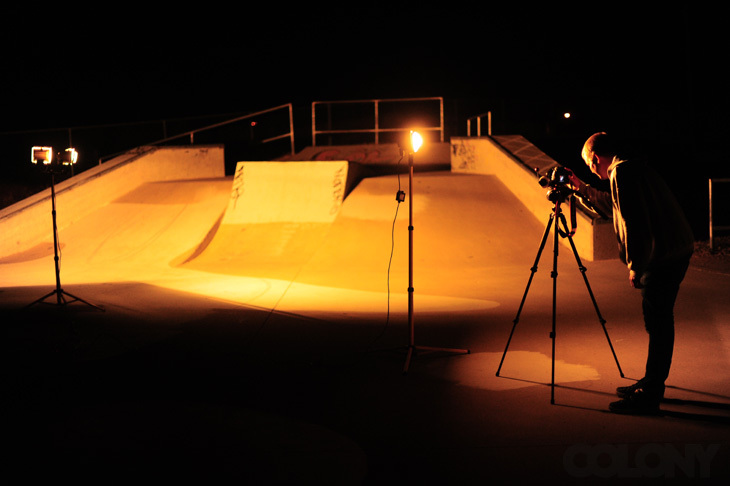 Alex scored a recent Oneclip over on Focalpoint, this was shot at Fairfield park in Brisbane. Wow, this is really good. 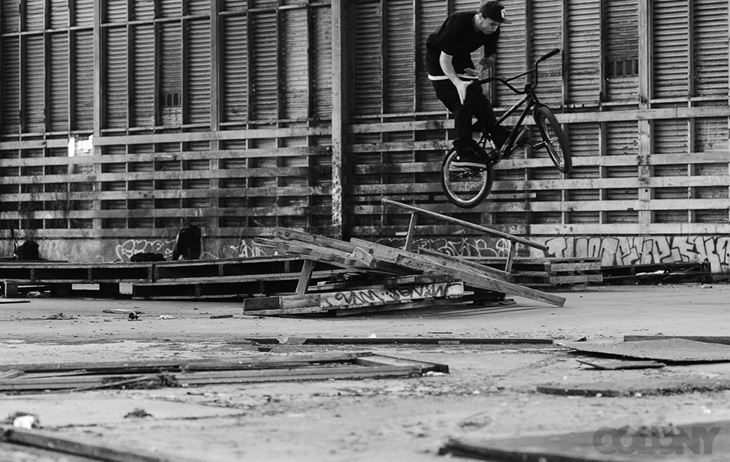 Steven Moxley comes through with an amazing power hour edit for Vital BMX. Some really good tech stuff in here, I really enjoyed watching this. Thanks to Justen Soule for putting this together. 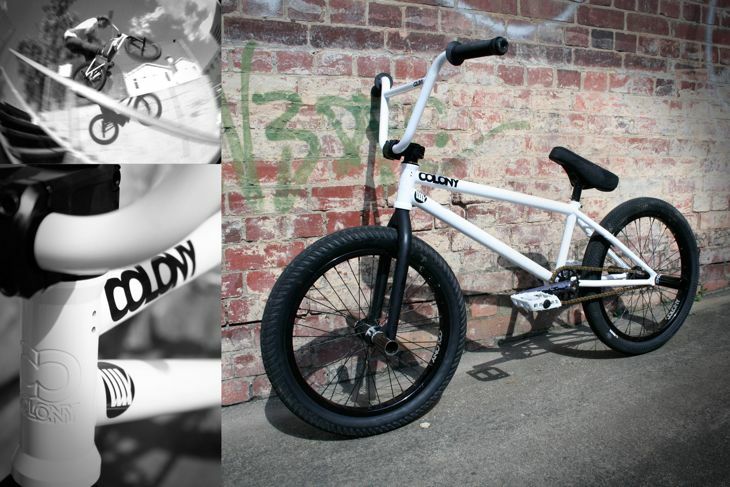 We teamed up with the guys over at Strictly BMX to bring you some worldwide exclusive limited edition Teddy frames. There are only ten of these puppies available in the Translucent Blue so you better be quick. Each of them have a custom sticker job by the main man himself, Mick Bayzand. Click here to get yourself one sooner rather than later as they wont last long. Chris Courtenay has an interview up on The Union website. Click here to check it out now. Chances are you have never been to Darwin or even the Northern Territory here in Australia (I know I haven’t yet) but there is definitely a scene up there. 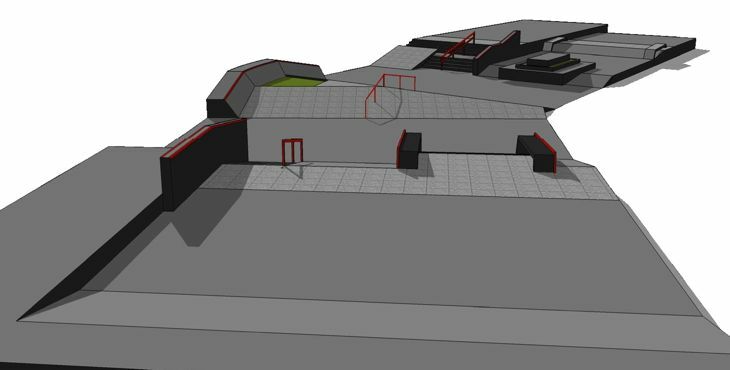 We have the good guys at SpokesNT along with the Darwin Scene blog, well now they are trying to get an indoor park up there so if you can spare two clicks of your time to Like this Facebook page it might just help the crew up there out and you never know it could help give you another reason to get up there. 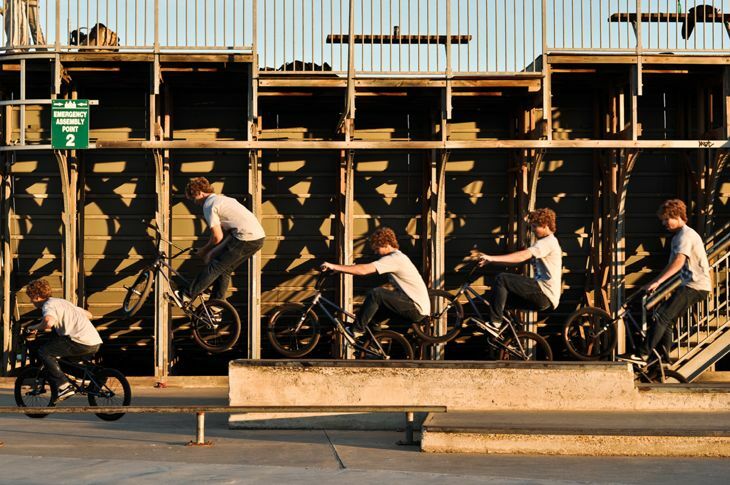 Spotted this sweet little sequence over on the Little Black Bike site of Liam Zingbergs doing his thing. Liam has been invited to compete in the Asian X Games in street in China later this month. 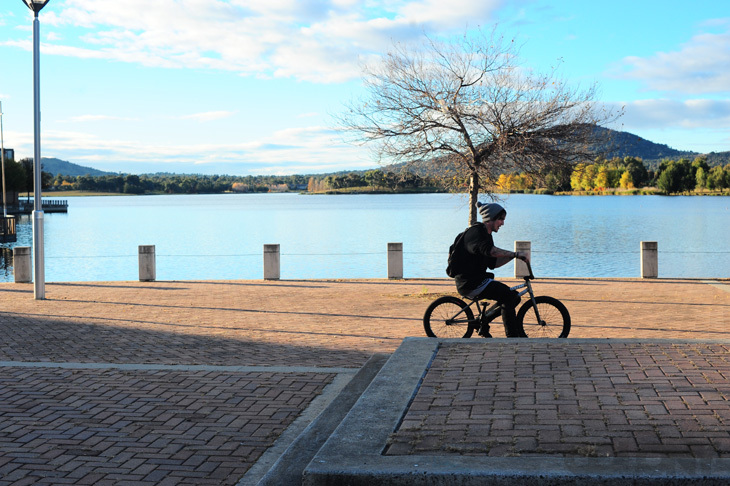 Below is the course him & team mate Chris Courtenay will be shredding. 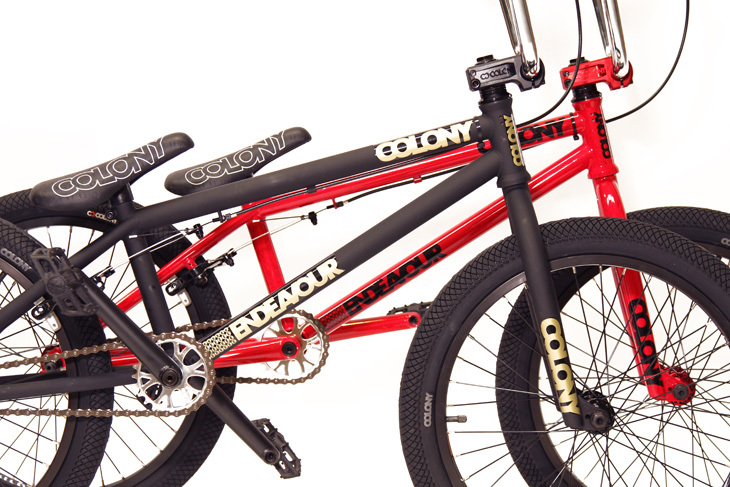 Our last colourways of our 2011 model complete bikes has now arrived in Australia & most other countries soon to follow. 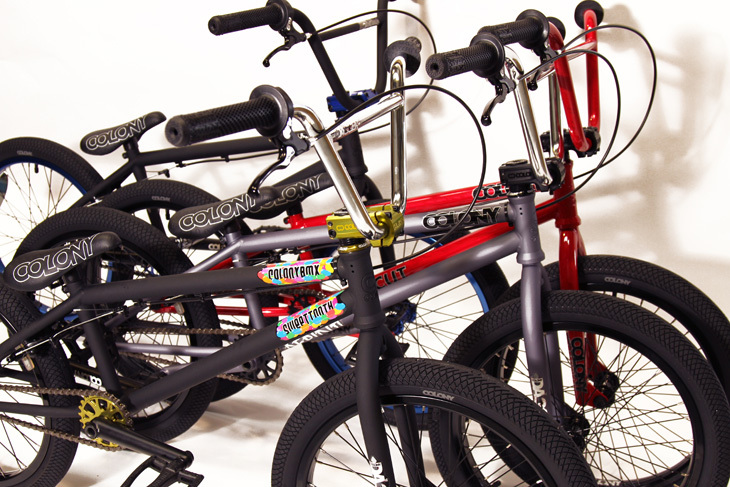 You can check out all new colours of our Descendent in Matt Black/Gold & Matt Grey/Purple as well as our new colour Endeavour bikes in Matt Black/Chrome & Red Storm/Chrome. You can also check out our all new model for 2011 now called the Lil’ Endeavour in Matt Black/Chrome & Red Storm/Chrome. 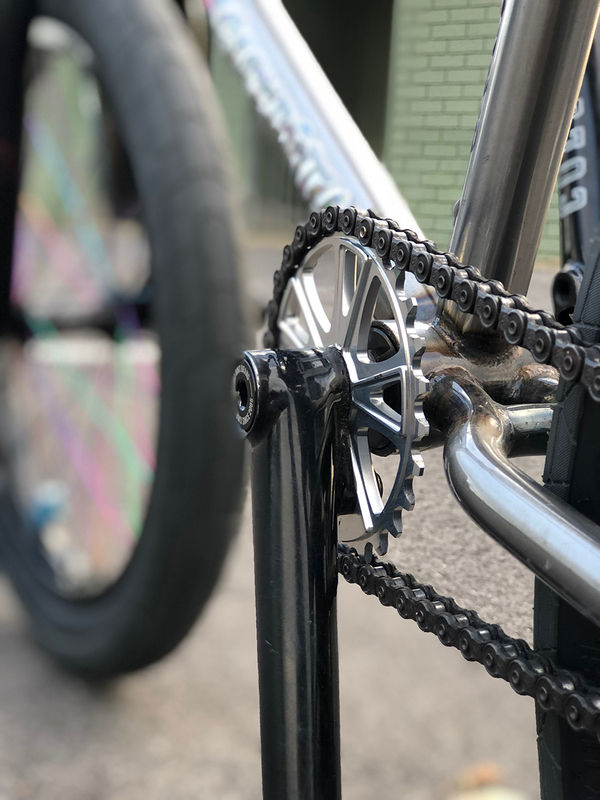 It is essentially a smaller revised version of the ever popular Endeavour based off the geometry of a Sweet Tooth for those smaller riders out there. 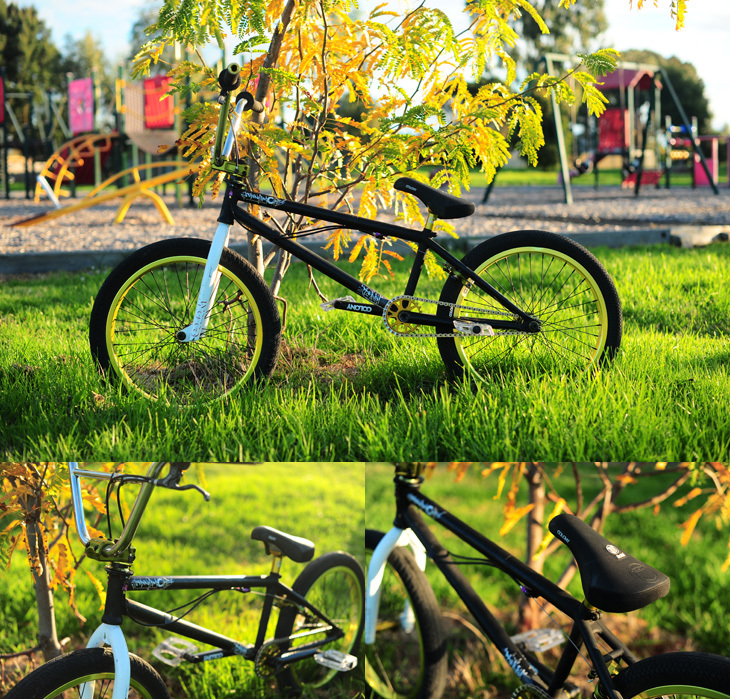 It’s a perfect first bike for a younger rider for their first 20″ bike. Of course we also have our Teddy Pro in Matt Black/Blue, Sweet Tooth Pro in Matt Black/Wasabi, Lowcut Pro in Red Storm/Black & Rebirth Pro in Matt Grey/Chrome as well. Check them all out while they last a a Colony dealer near you now. These Pro model bikes are now cheaper & even greater value for money. Check your dealer for details. 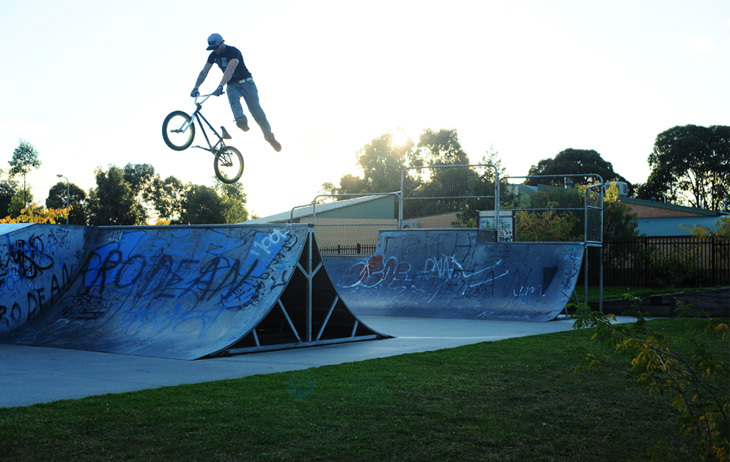 Yesterday we had a great day riding at 4 different parks here in Brisbane. Pete Radivo is in town & we hit up Crestmead, Browns Plains, Woodridge & finally Kuraby. Getting clips at each spot as we went, good times for sure. From left to right is Glennie, myself, Pete, Alex & Peta. 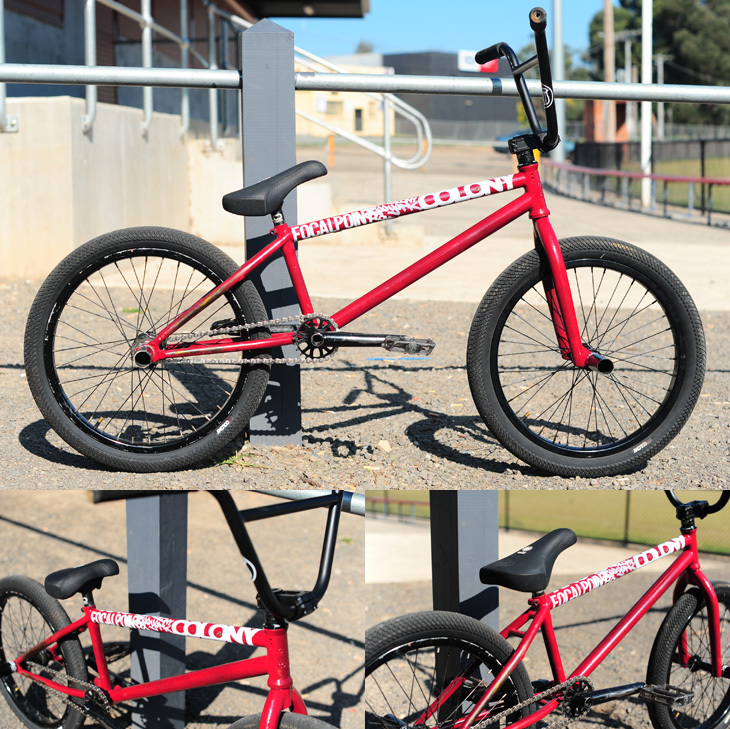 Brock Olive put together a new bike yesterday just because he wanted something a little shorter & a new colour. Brock’s choice of frame was a 20.5″ Teddy. 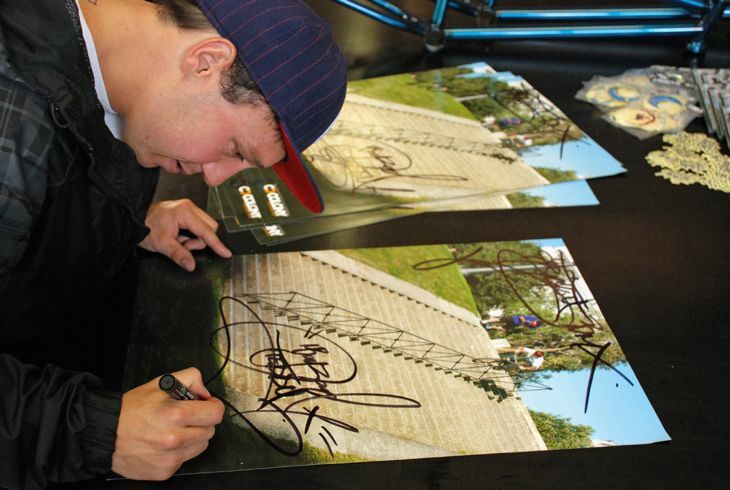 The guys at Lux BMX were nice enough to slap it together for him too. They even convinced him to go 4 pegs too, making him pretty much unstoppable now, haha. 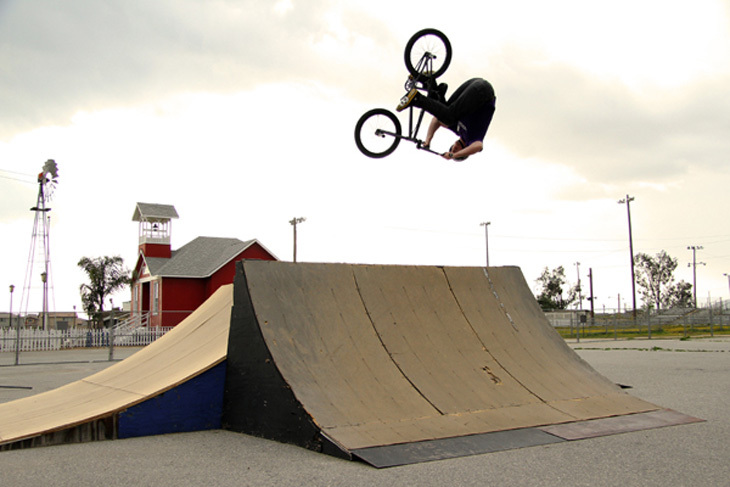 Below is also a clip of his first trick on his new bike. Enjoy.